In order to keep your appliances working the best, you may need to replace parts. Dryer vent coversenable you to keep your clothes clean and dry quickly without having lent buildup and other potential issues. The following dryer vent covers are the best on the market and will offer you top quality products that will keep your appliances running longer. 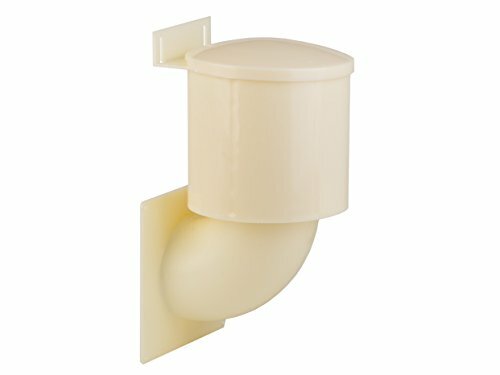 The P-tec Products Inc NPVW No-Pest Vent is a perfect dryer vent cover that can be used for the bathroom vents, dryers, or range hoods. The plastic vent is 4 inches in size and is UV-resistant and the tube is 4 x 12 inches and made out of aluminum. The door design keeps pests away along with reducing drafts and wind from entering your home. The door design for the dryer vent cap will also significantly reduce lint buildup. The low profile design is attractive. This dryer vent cap is 12.6 x 6.2 x 5.3 inches in size and weighs only 8 ounces. This dryer vent cover is brown in color and is made from UV resistant plastic allowing it to keep a fresh look longer. The back plate is 6 x 5 ¼ inches in size and is made out of cedar. Installation is very simple and can be installed in less than twenty minutes. The HEARTLAND 21000 Dryer Vent Closure is ideal for home use. 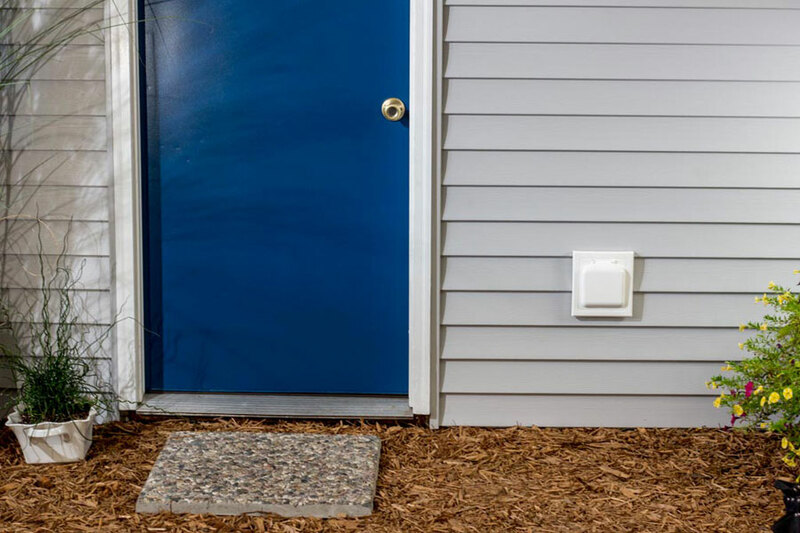 You can install this dryer vent cover in less than thirty minutes. When the dryer vent cap is open, the device can allow warm are to escape. When the dryer vent cap is closed cold air is not able to enter. Insects are also not able to enter the home with the use of the vent cover. It is necessary to install the vent cover vertically. The sliding may have to be cut in order to properly install the device. This dryer vent cover is 13.2 x 7.4 x 6.7 inches in size and weighs 1.8 pounds. The vent cover works in the northern states and can be effective in cold temperatures as low as -25 degrees Fahrenheit. The HEARTLAND 21000 Dryer Vent Closure will prevent lint build up and provide a dryer that dries clothes more quickly. The color of the dryer vent covers should blend in with the paint. The Lambro Ind. 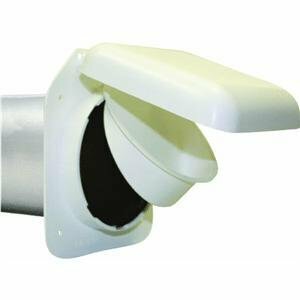 289W Dryer Vent Closure is perfect for residents and will allow you to regulate drafts better within your home by being able to prevent cold air from entering. The product has a seal allowing the temperature to be controlled more thoroughly within your home. By purchasing this dryer vent covers you can replace traditional dryer vent hoods. The shuttle has a floating style and will stay closed unless your dryer is being used. The dryer vent cover will prevent cold air from entering into the residence as well as unwanted pests or insects. In order to have the dryer vent cover match the appliances within your home, this device can be painted. The dryer cover is 13.6 x 8.5 x 7.3 inches in size and weighs only 1.8 pounds. The Lambro Ind. 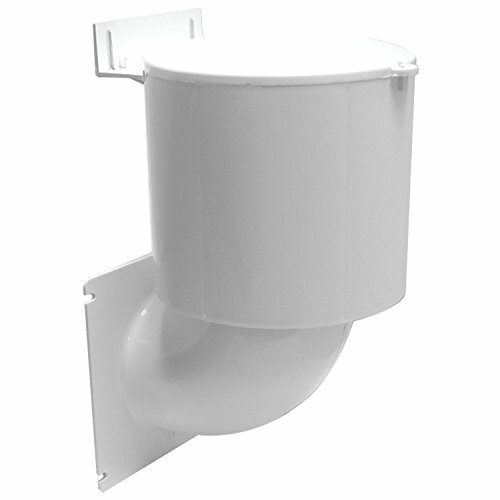 289W Dryer Vent Closure has several certifications including UL, Energy Star, DOE, and ASTM.